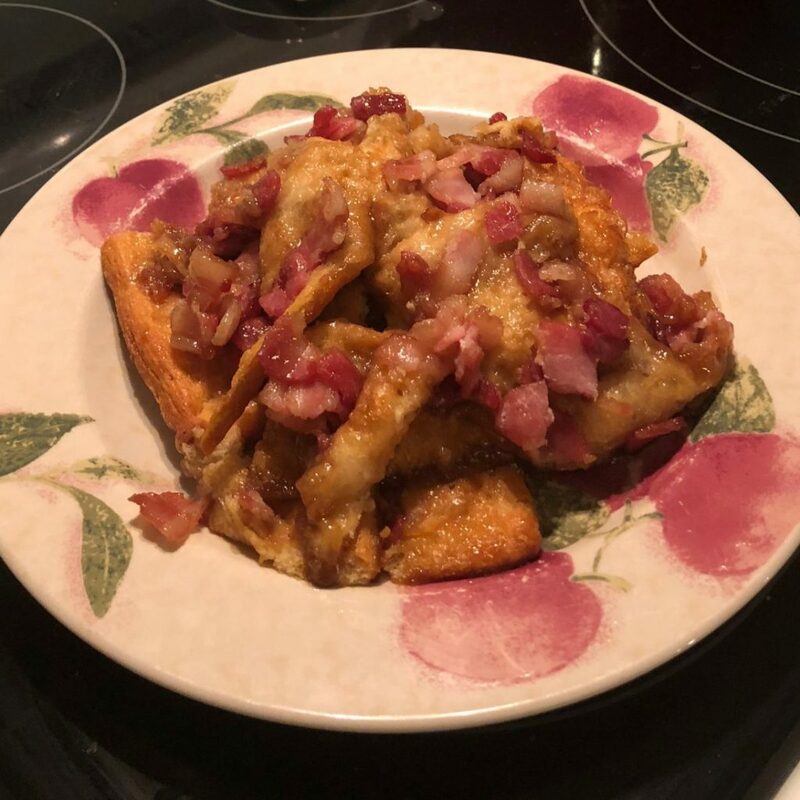 For our latest Recipe of the Week series installment, we are featuring a fun and easy recipe from Chop Secrets that our employee Miranda tried out: Maple Bacon Crack. Miranda couldn’t resist the promise of an addictively delicious snack when she saw the video on her Facebook feed. Read on to see how it went for her! 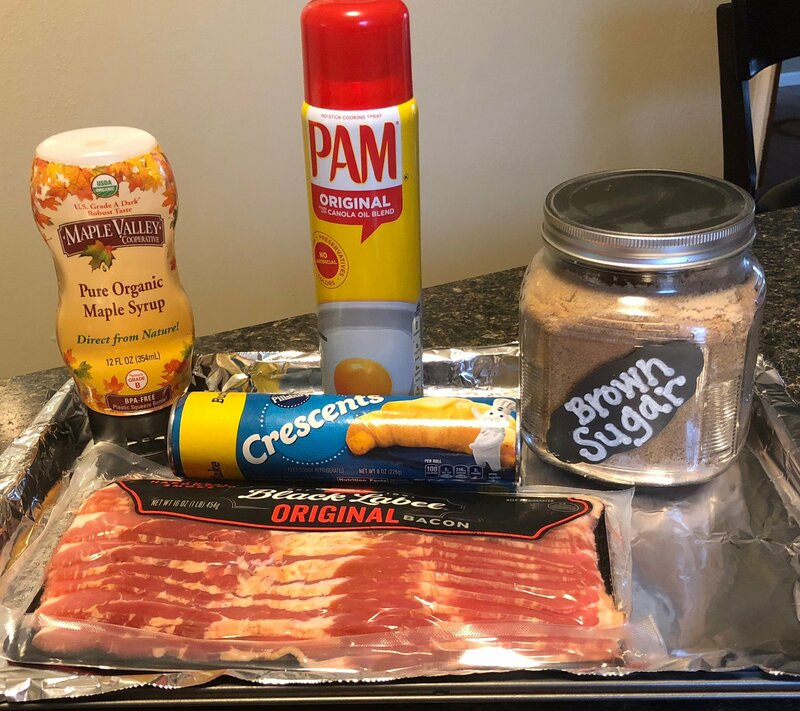 Here are the ingredients you will need: 1 package of crescent rolls, 1/2 cup of Maple Valley Dark & Robust maple syrup (I used our 12 oz squeeze bottle size for this recipe), 12 Tbsp of brown sugar, 1/2 lb of bacon, and some Pam. 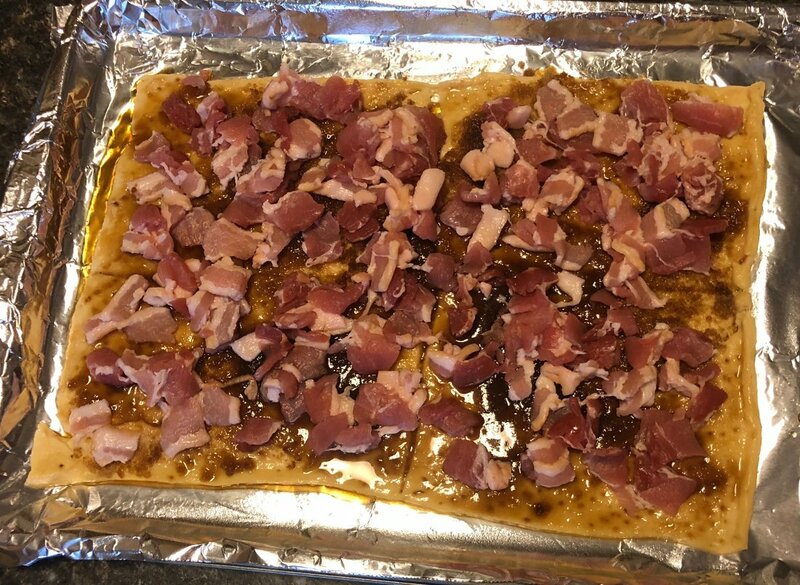 I would recommend cooking the bacon ahead of preparing the recipe. This makes it easier to break apart and cut up. It also helps to avoid excess grease which made the crescent mushy. I would also recommend using half as much maple syrup & brown sugar. This will also help to reduce “mushiness” in the crust and will make the syrup candy much faster. First, I covered a baking sheet with aluminum foil, and sprayed it with Pam. Then, I spread out 1 package of crescent rolls onto the pan. I used a fork to poke fork prints into the entirety of the crescent crust rolled out. 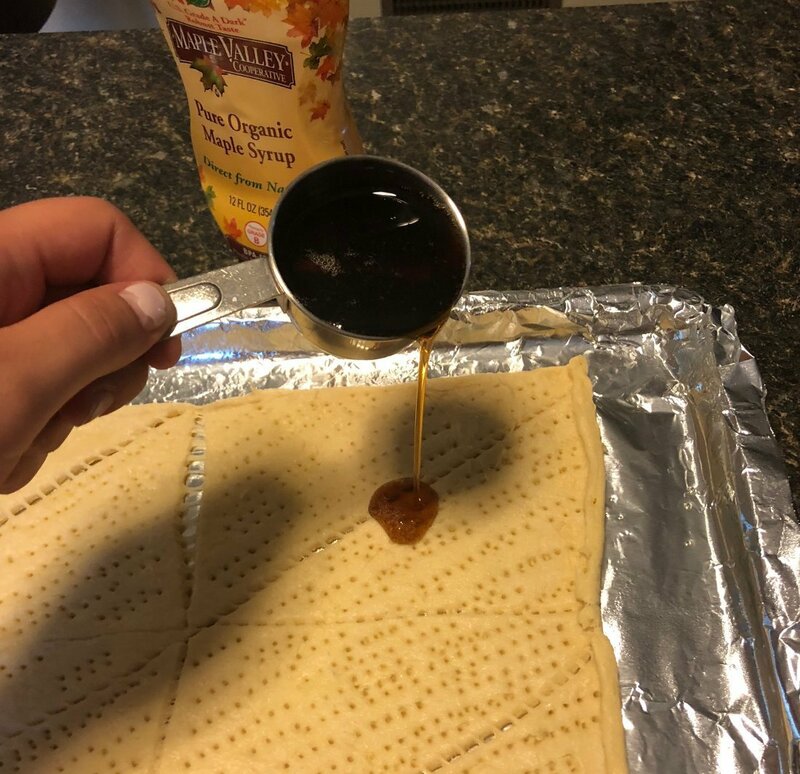 After that, I drizzled ¼ cup of maple syrup onto the crust, and spread it out with the back of a spoon. 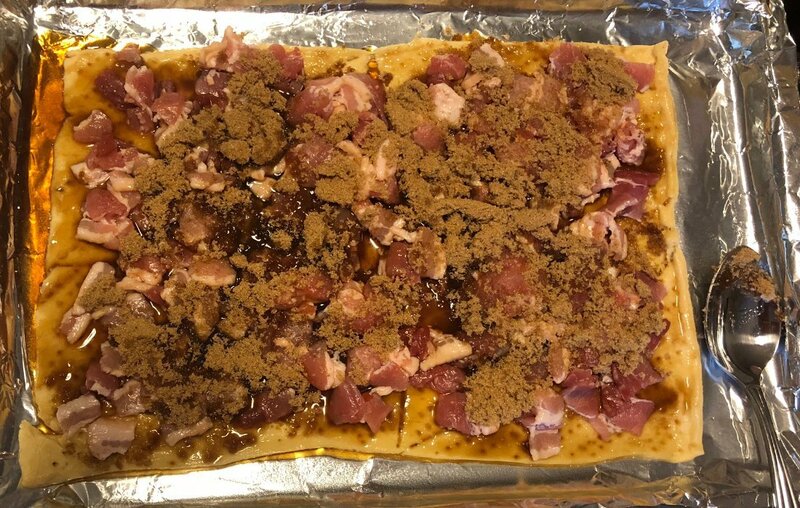 With my tablespoon, I measured out 6 tablespoons of brown sugar and spread it with the back of my spoon across the crust. Then, I cut up ½ pound of thawed bacon. 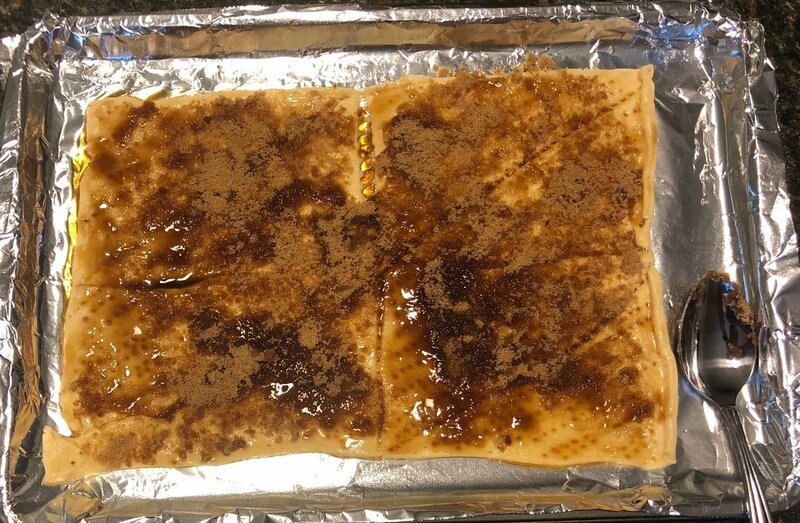 Then, I sprinkled that on top of the crust, syrup, and brown sugar. 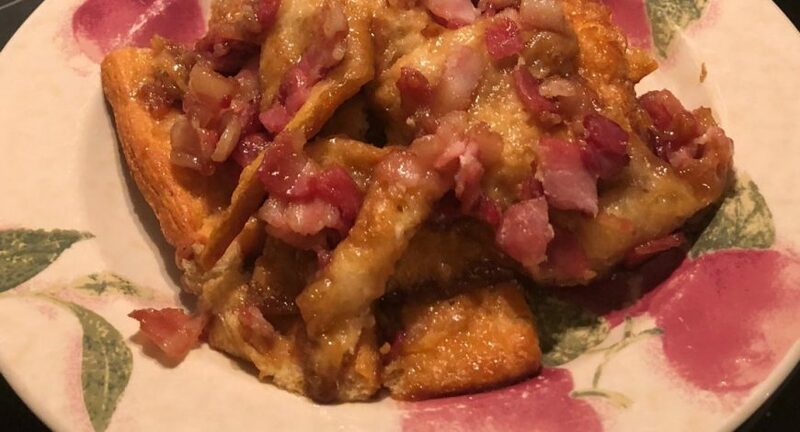 I would suggest cutting the bacon when it is frozen or cook it first, in strips, and break it up after it is cooked for easier separation and cutting. 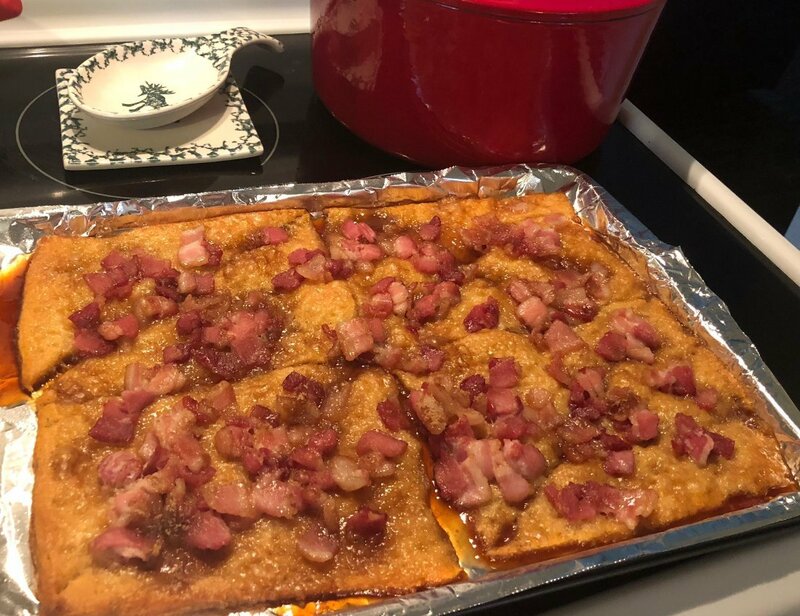 Finally, I repeated the syrup and brown sugar layers on top of the layer of bacon. I baked it in the oven at 325 degrees for 25 minutes. I would recommend baking the recipe for about 10 minutes longer to make sure the crescent is completely baked and crispy. The final result was not quite what I expected from the video, but it still tasted good! I think if you take my suggestions in to consideration while making this one, it would end up being a little more like the final product in the video. Either way, you will probably enjoy this one! What’s not to like?